Meet Skillcrush alum, Cristy Koebler. 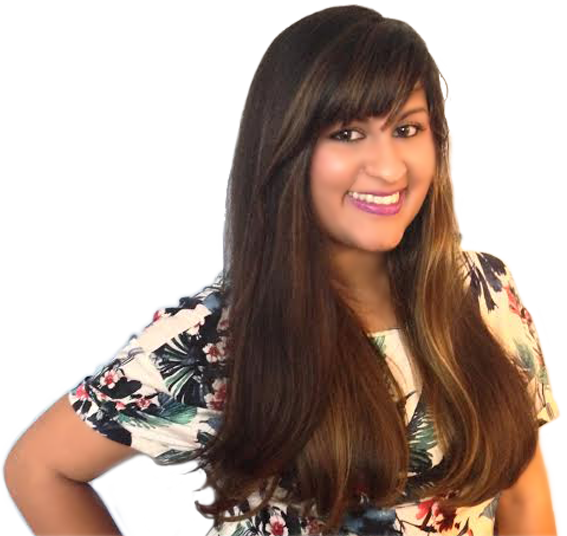 Cristy recently started her own marketing company and quickly realized the importance of digital skills. She decided she had to start learning to code on her own on the side, but found lots of learn to code sites to be cold and utilitarian. 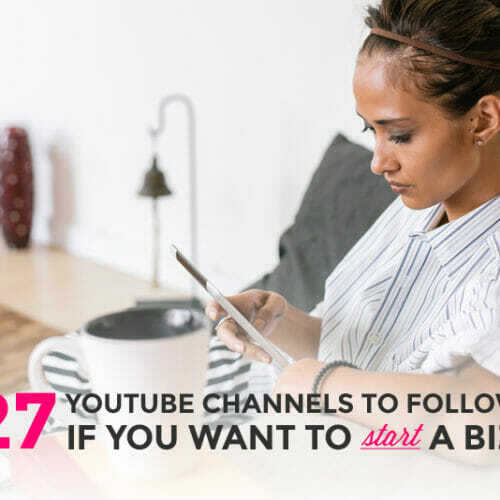 She wanted to learn the skills she needed in a supportive community with lots of personal attention from instructors and conducted a Google search until she found our classes here at Skillcrush. In a matter of weeks, Cristy was building her portfolio, learning everything from CSS to jQuery to Ruby! We asked Cristy to tell us about her portfolio-building process and share some advice for newbie coders. Hi, I’m Cristy. I’m originally from Pittsburgh, PA, where I got my degree in marketing. After school, I moved to sunny San Diego where I worked in marketing and events for a nonprofit organization. A few years in, I was anxious for a change, so after some time off to travel I decided to start a small marketing company. I specialize in creating new marketing materials, building custom websites, and developing marketing strategy. This was about the time I discovered my love of programming, and began learning to code on the side. My real passion is web development. I’m currently learning Ruby on Rails and I’m really excited about what I’ll be able to build with this new (to me) language. I also recently moved back east to be near family, but I still miss the San Diego beaches! 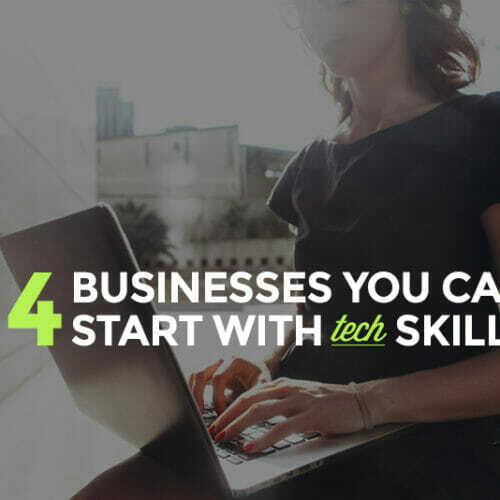 How did you learn about Skillcrush? I happened upon the Skillcrush blog one day while Googling a tech question, and was immediately hooked! After trying out the free bootcamp, I decided to do the Web Developer Blueprint. And I’m so glad I did! Why did you decide to learn how to code? I’ve always had an interest in graphic design, but no formal training. So I started reading everything about tech and design, and eventually discovered that I loved programming even more. It’s so cool to see your sketches turn into the real thing on the web! What’s your favorite thing you’ve learned in class so far? I am SO glad that Git and GitHub were explained in detail! I refer back to my class notes all the time for this. 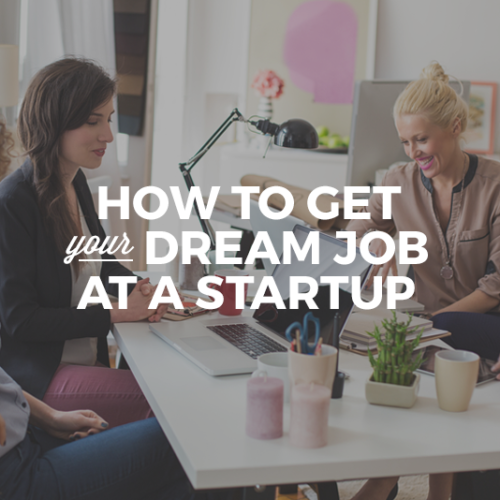 I had tried to muddle through it myself, but the Skillcrush lesson was so clear. Also, I really enjoyed learning jQuery and implementing some cool plugins on my site, like smooth scrolling and the gallery for my portfolio. What do you love most about Skillcrush? So many things! It’s so approachable. Lots of “Learn to Code” sites are cold and utilitarian. Skillcrush is friendly, inviting, and caring. 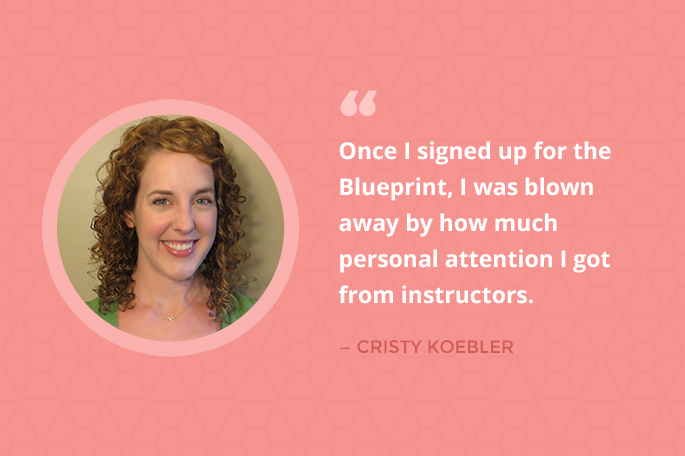 Once I signed up for the Blueprint, I was blown away by how much personal attention you get from instructors. I also really liked the interaction on Mightybell. It’s great to know the company I’m sharing is with smart, driven women. I started the Web Developer Blueprint with a goal of having a completed portfolio by the end, and that’s exactly what I got! Why do you think we need more women in tech? Women bring such a different perspective than men. It’s important to have a variety of opinions and right now women are underrepresented in tech. I think getting young girls involved and excited about technology at a young age is the key to a more balanced tech scene. I’m teaching myself Ruby on Rails. The base that I got in Skillcrush’s Ruby class makes Rails feel totally doable on my own. Ruby on Rails is really in demand right now. To show off my new skills, I’m building a blog that will be on my portfolio site. My other project is a homework app that lets students answer questions and get their results instantly. How do you use technology to relax/unwind? 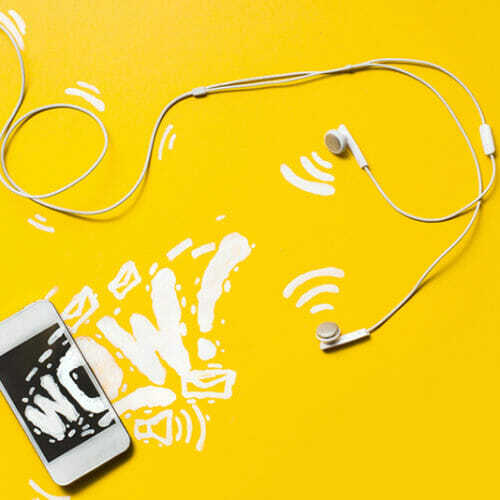 Listen to music on the Songza app, look at Pinterest and read blogs. Even when I’ll do something offline, like a DIY project, or cooking, I inevitably got the idea or the recipe online. Tell us about how you built your portfolio. What skills did you use? What was the process like? Tell us about any challenges you encountered and how you overcame them. First, I sketched out a few ideas that I liked, and came up with 6 possible ways to design my site. I sketched each page out on paper before even starting to code, and chose the one that felt the most like me. Lastly, it was all about tweaking the CSS, changing colors and fonts, and getting the placement just right. And tackling cross-browser issues all day long! That was pretty tough, but I made it! My dad pushed me from an early age to start thinking about how I could take control of my career and be a business owner. He told me that thinking is only part of the process, but real progress comes when you start putting things into action. I think about that when I’m coding. The most progress comes from tackling a real project, and pushing further than your current knowledge. I’ve taken on plenty of coding projects that I had no idea how to even start, and those are the ones I learned the most from. What advice do you have for newbies learning to code? Read all the things!! Seriously, set aside some time each day and just read about the programming topics that interest you. I’m subscribed to several daily newsletters and I read through the questions and answers when I have a few minutes. I rarely fully understand what’s going on, but getting in the practice of understanding the language and how people use it is important. Then, just practice, practice, practice! I have a list of code project ideas that I want to try, and I just sit down and try to build them. Thankfully, every question you’ll ever have about coding has probably already been answered by someone, so you just have to ask for help or Google when you don’t understand.